I think this is truly what people call the dog days of summer! 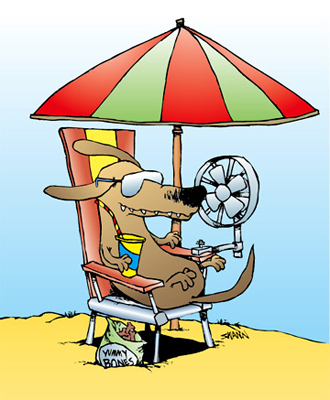 We hope you are surviving the heat and remember to keep all your pets cool and well hydrated in this summer heat. Dr Douglas will be off for 6 weeks, from mid-July to after labour day following surgery. We are all sending her best wishes for a speedy recovery, and we will pass along any of your best wishes via email. Dr Button and Dr Lalonde will be available for all of Dr Douglas’ patients while she is recovering. We are excited and happy to welcome Dr Fred Ghasemi beginning August 7th! Dr. Ghasemi has been filling in as a locum for both small animals and horses for Valley Vet over the last 2 years and we are now excited he will be joining us full time. 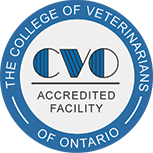 Dr. G comes to us most recently from a small animal emergency clinic in the Windsor area where he has greatly expanded his knowledge in internal medicine and emergency treatment. He has extensive experience in all aspects of equine practice with additional training in reproduction. We are excited to soon be able to offer embryo transfer for horses and artificial insemination and reproduction services for our canine patients as well. Dr. Ghasemi and his family are happy to be settling in the Ottawa area and we look forward to having him join our team. With the addition of another full time veterinarian we are very, very excited to be expanding our services to include house calls for companion animals! We will be offering appointments in your home for any routine veterinary care and delivery of diets and medications. We are still ironing out the details, so look forward to more posts about the house call practice. Starting September 2012, please call to inquire more about this exciting expansion of our quality veterinary services.